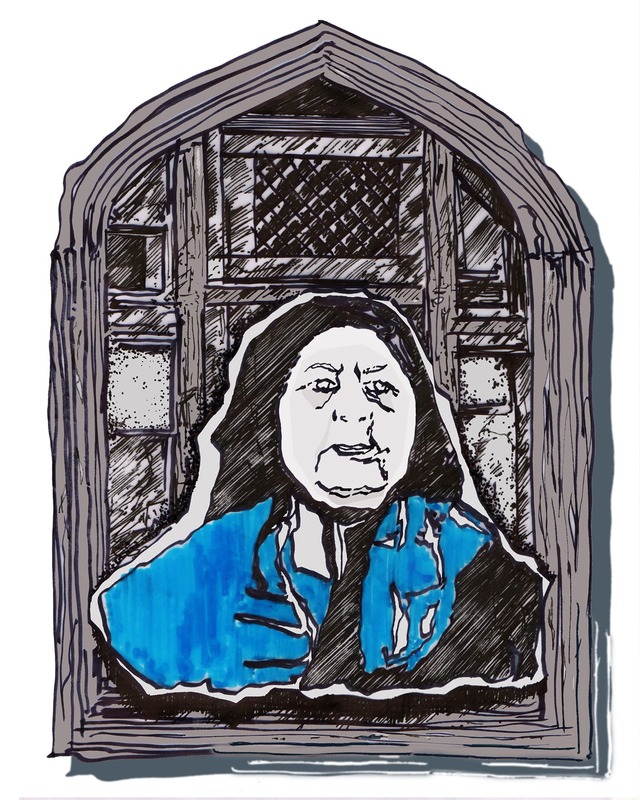 The Kashmiri Women’s Design Collective creates a calendar to pay tribute to the women who have impacted their lives. For centuries, women have played a very significant role in shaping Kashmir and Kashmiri culture, yet seldom have their contributions received the recognition they deserve. A few years ago, a calendar issued by the Indian government that one finds in most homes here featured inspirational icons, one for each month — 10 of these were men and only two women. This year, a group of female artists came together as the Kashmiri Women’s Design Collective to change this. What we wanted was a calendar for the coming year that we could relate to and find inspiration in — a small tribute to a few women of Kashmir who have, in some way, had an impact on all our lives. What followed was a serendipitous process of discovery and research. We had lengthy discussions, across time zones and contexts, to come up with a selection of women. Some names were familiar to most while others unknown. 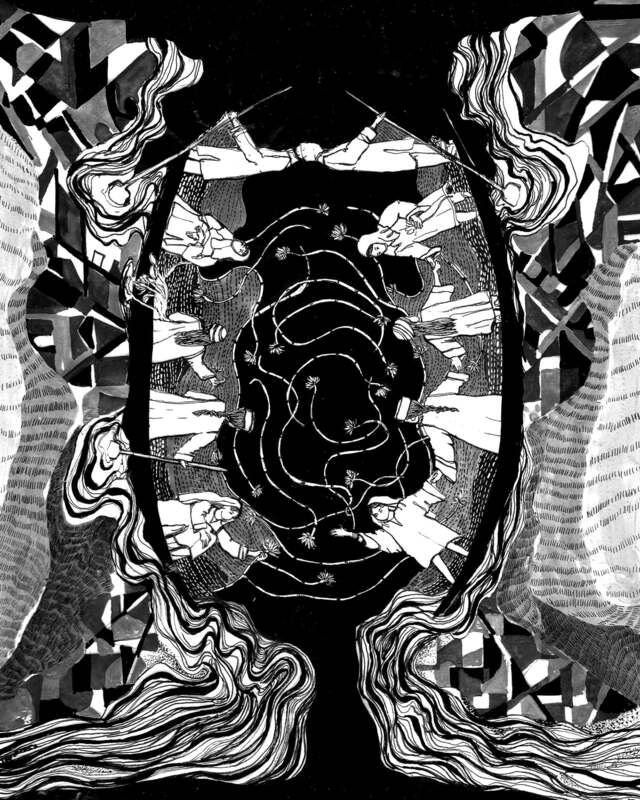 Digging deeper we found distorted histories and stories of brilliance. Each of us selected women from across the ages; women we resonated with and used different mediums of art to interpret their works and personalities. History is unkind to women, we had heard, and we saw it manifest in front of us. Through lines and strokes we reinterpreted these histories and personalities for all to see. Below is the product of this exercise. 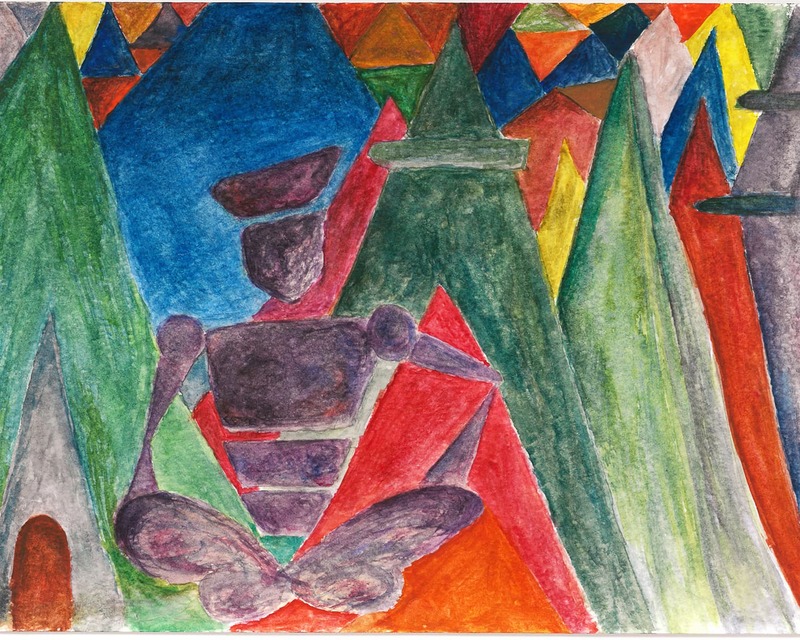 Onaiza Drabu, ‘Queen Didda and the Temples’, Watercolor on Paper, 8 in x10 in. Didda was the ruler of Kashmir from 979 to 1003 CE. Though physically disabled, she is said to have ruled with an iron fist — a harsh metaphor for her clever political strategies. Legends tell of Didda’s tyranny, but history also confirms her as a compassionate queen, kind and benevolent to her subjects. She is said to have built 64 temples during her reign and is recorded as having issued coins in her name. No historians were women, we presume, so all that we have read of Didda maligns her for her abilities and gall. From the artist: Didda in the image revels in her bold colours and power, her temples standing tall behind her as a testament to her legacy. This stance is copied from an ancient coin where she is depicted sitting cross-legged and powerful. Sumairha Mumtaz, ‘Kota Rani’, Oil on Canvas, 210 mm x 297 mm. The last Hindu queen of Kashmir, Kota Rani, ruled in the 14th century. There is little documented of her, but to her credit is the commissioning of the canal Kute Kol on the River Jehlum. It is said to have saved the city of Srinagar from many floods. From the artist: Kota Rani not only managed to keep power but also had the hearts of common people. 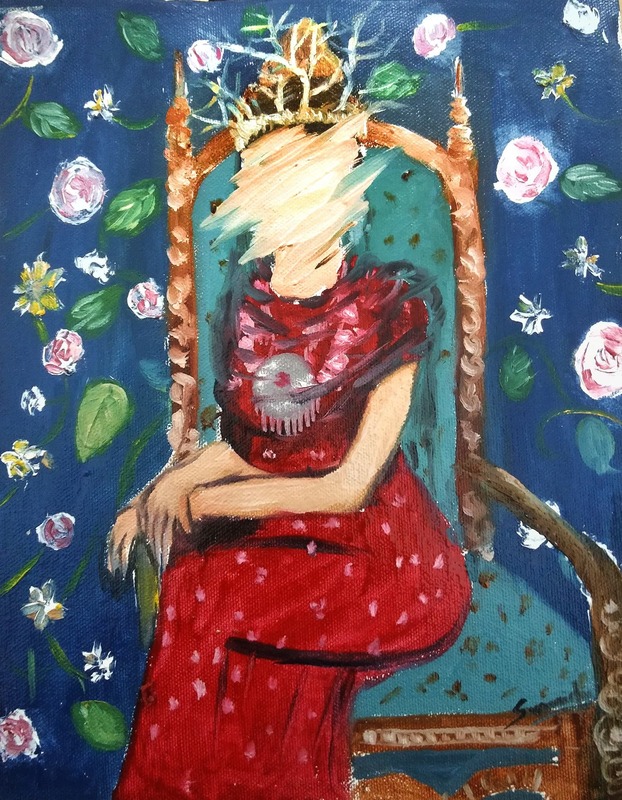 Her image, therefore, is one of royalty with mix of masculine and feminine textures in the background. The crown of thorns depicts the many responsibilities she lived with. Without a defined face, she gives the viewer an impression of a strong, beautiful woman — a personality many young girls can look up and relate to. 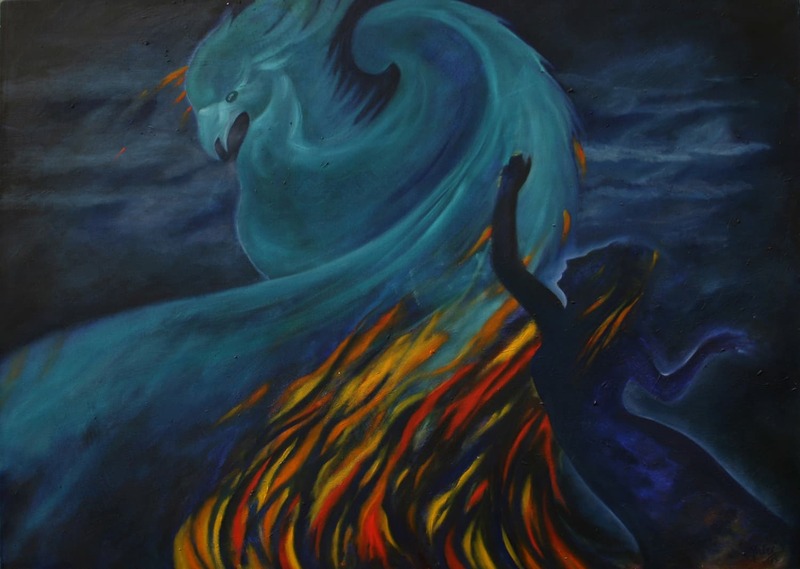 Mahvash Masood, ‘Rising from the Ashes’, Oil on Canvas, 48 in x 36 in. Lal Ded was a 14th century poet, mystic and saint. One of the pioneers of Kashmiri mystical poetry, she is credited with creating a style of poetry known as Vakhs. Her wise sayings rose above caste and religion and she is revered equally by all faith communities in Kashmir. She is also often seen as a bridge between Shaivism and Sufism. A known ascetic, stories of her running naked on the streets abound in popular folklore. 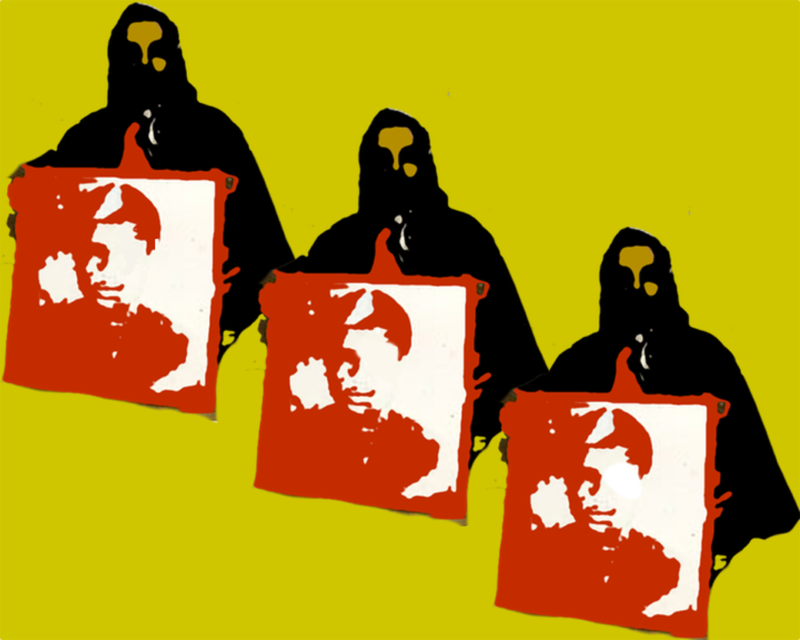 From the artist: Taking inspiration from the women of Kashmir, here is an image of Lal Ded inspired from her life. The painting depicts her rising above all her problems and choosing to be one with God. Kayehaan Anjum Khan, ‘Habba Khatoon’, Ink on Paper. 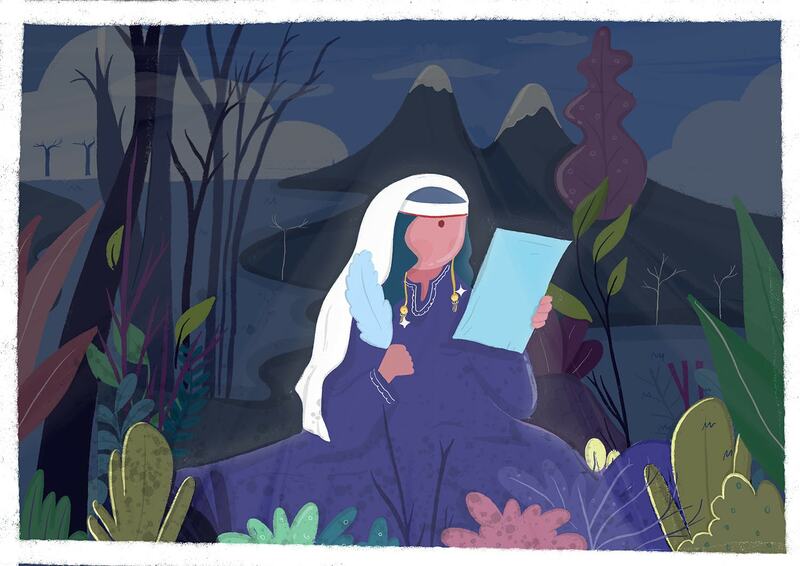 Habba Khatoon was a 16th century mystical poet born in a Pampore village. She was known for her intelligence but was married off to an illiterate peasant who mistreated her and they soon divorced. She found solace in poetry and singing. One day, she sang sitting under a chinar tree when a gentleman on horseback approached — mesmerised by her melodious voice and beauty. The gentleman was Yusuf Shah Chak, the last king of Kashmir. They fell in love and this young peasant girl became queen, forever known as the Nightingale of Kashmir. Mahvash Masood, ‘Contemplation’, Oil on Canvas, 48 in x 36 in. A 17th century saint and poet, Mata Rupa Bhawani spent her early life under the religious guidance of her pandit father. Rupa would often retreat to Hari Parvat for her spiritual practice. Later, she became an ascetic and left for a life of meditation in the Himalayas. Her poetry and spiritual philosophies have greatly influenced Kashmir and she is revered by Kashmiri pandits who celebrate her death anniversary as Sahib Saptami. 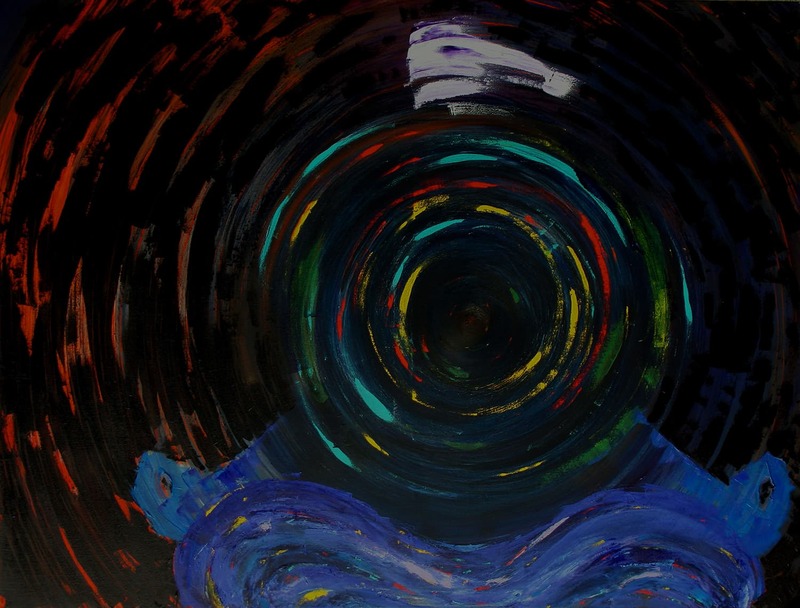 From the artist: ‘Contemplation’ is inspired by the life and teaching of Rupa Bhavani. Ghazal Qadri, ‘Arnimal’, Digital Illustration, 8 in x 10 in. 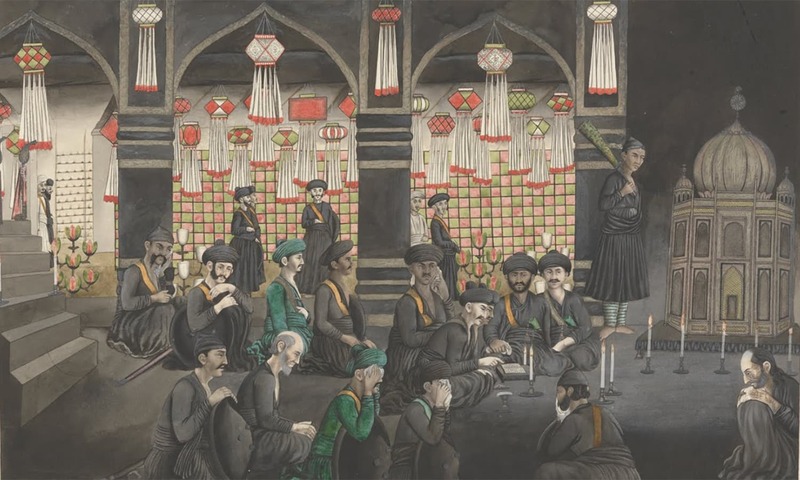 Arnimal was an 18th century poet who was married to a famous Persian poet and historian. 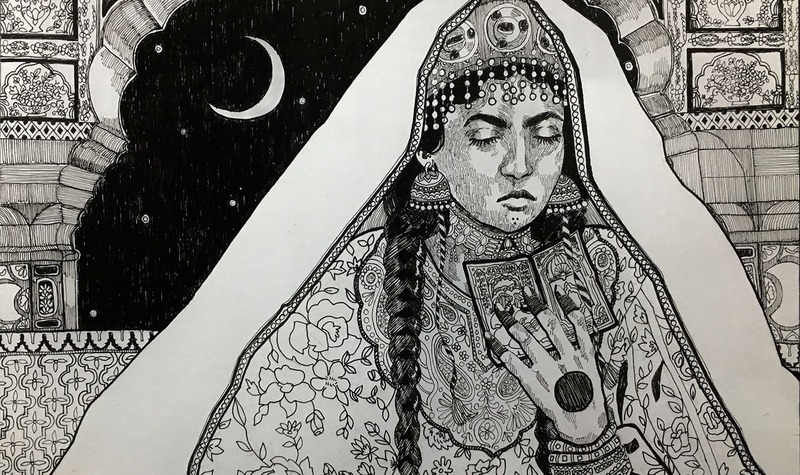 Legend has it that much like Lal Ded and Habba Khatoon, Arnimal’s unhappy family life was the main source of inspiration for her poignant poetry. She was married young and her husband deserted her soon after marriage. The pain of separation and the longing for his love turned Arnimal into the romantic poet she is known as today. From the artist: Arnimal's poetry rose from heart, got welled up in the breast and out came the gems. She highlights her condition in simplest terms and, in the process, gives glimpse of 18th century Kashmiri women. The artwork features the lady carving out words amidst the beauty of nature. Nusaiba Khan, ‘Miss Mallinson’s Girls’, Ink and Pen on Paper, 8 in x 10 in. Miss Muriel Mallinson, a Christian missionary from London, is recognised here for her selfless contributions to the education of women in Kashmir. She came to Srinagar in 1922 to work at Ms. Violet Fitze’s School (now known as Mallinson School). She was a visionary and brought about tremendous educational and cultural advancements. Mallinson School has since produced some of the finest professionals who serve in Kashmir and around the world. Although not a Kashmiri, her dedication to bring about change in Kashmir and her inspirational life deserve the utmost recognition. From the artist: As a student at Miss Mallinson’s school, this drawing is personal, recreated in pen and inspired from an old drawing of four girls in a school magazine. Taking the boat and its significance in the history of the school, the drawing is a metaphor for the journey of the women of Kashmir from darkness to enlightenment. This journey was pioneered by Miss Mallinson, who took up the arduous task of going door to door, making people aware of the need of girls' education. The ripples caused by the boat as it wades through the water symbolise her persistence, dedication and tireless efforts towards women's uplift. 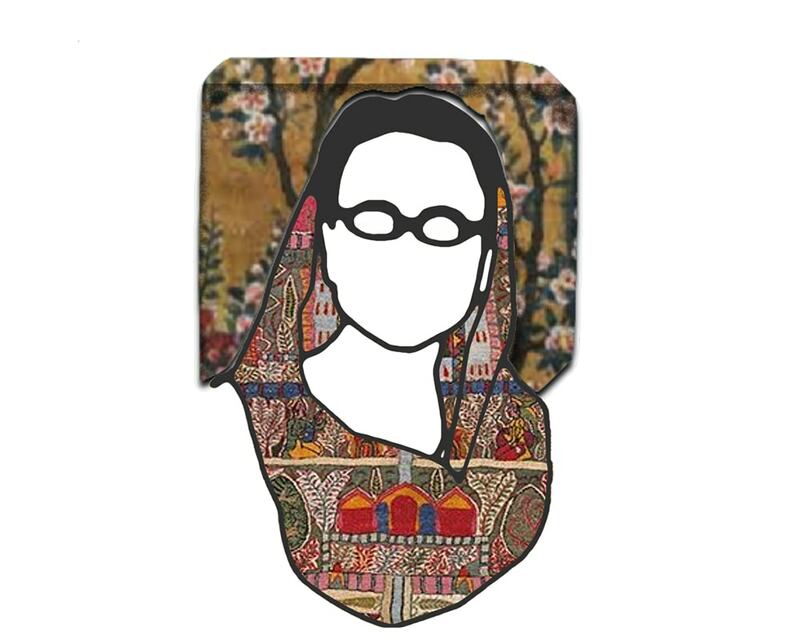 Tuba Nasiem, ‘Raj Begum’, Layered Paper Cutouts, 10 cm x 11 cm. A legendary singer of international fame, Raj Begum was born in early 20th century in Srinagar. Her love of singing came at a young age but during a time in Kashmir when women were hardly allowed out of the home. Raj Begum overcame social taboos to become the first female artist to perform on DD Kashir, a regional subsidiary studio of Doordarshan India, and paved the way for other female artists to enter the music industry. Her life and struggles have been the chronicled in a 2017 movie Her Theme of Freedom — The Melody Queen of Kashmir. 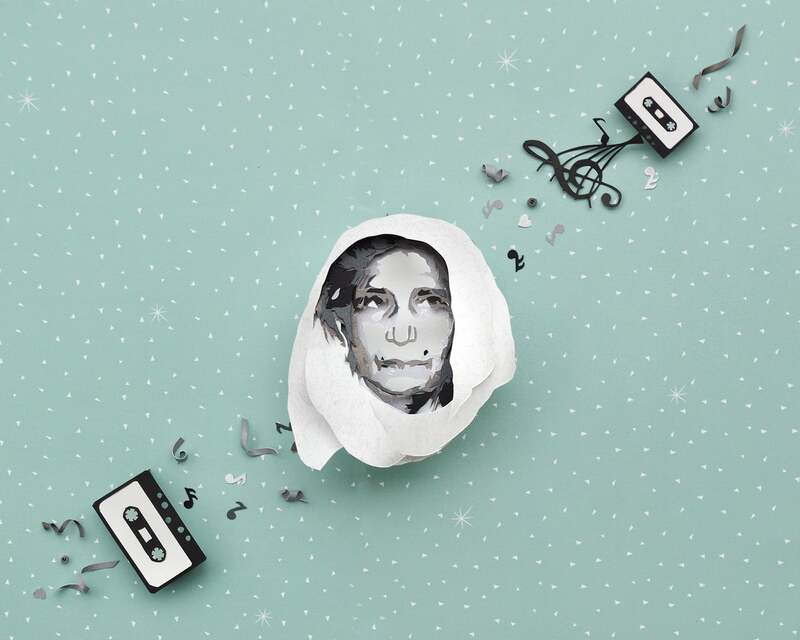 From the artist: Growing up listening to Raj Begum’s tunes and finding the ability to interpret her in a relatively niche art form was an exercise in nostalgia and rediscovery. Tuba Nasiem, ‘Hanifa Chapu’, Layered Paper Cutouts, 18 in x 24 in. Known in Anantnag as a trailblazer, Hanifa Chapu was the first woman from south Kashmir to get a Munshi-Fazil degree in Persian, a bachelor’s degree in education and become a gazetted officer. She worked as headmistress at a local government school and later became the inspector of schools in Islamabad district under Deputy Director of Education Begum Zaffar Ali. Hanifa was popular for her strong work ethic and for fighting corruption in education. 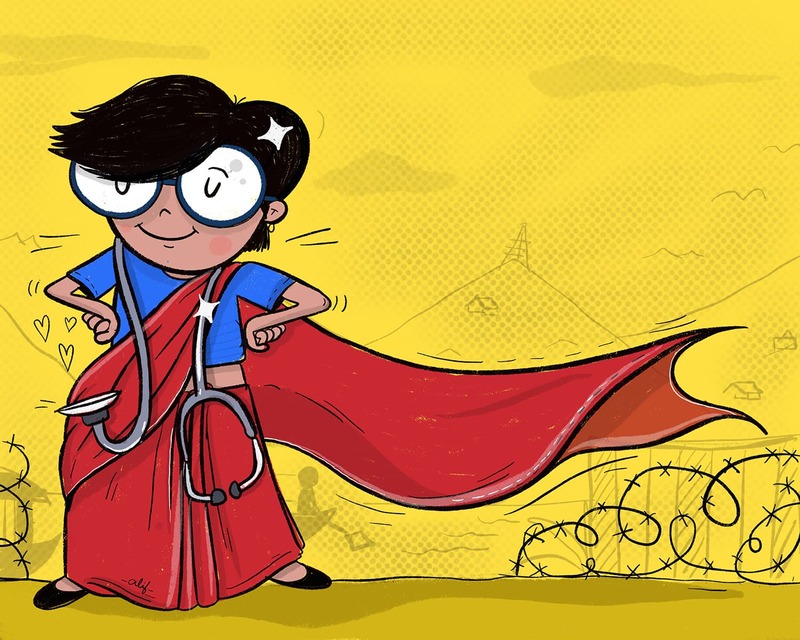 From the artist: As someone unfamiliar with Hanifa Chapu and her work, I chose to illustrate this fearless woman who made a world of a difference in many lives just through doing what she did best. Ghazal Qadri, ‘Dr Girija Dhar’, Digital Illustration, 8 in x 10 in. A prominent gynecologist, Dr Girija Dhar was instrumental in establishing the women’s hospital, Lal Ded Hospital. Born in Srinagar, Dr Dhar studied at King George Medical College in Lucknow and later trained in the United Kingdom. It was there she met her future husband and another legend in Kashmiri healthcare, Dr Naseer Shah. The two worked tirelessly to elevate medical education and both served terms as principal of Government Medical College, Srinagar. Committed to philanthropy, they set up various welfare organisations including an orphanage. Dr Dhar also served as chairperson of Jammu and Kashmir Public Service Commission and was the first chairperson of Jammu and Kashmir Women’s Commission. From the artist: Dr Dhar was known to have brought about reforms in medical education in the state. The artwork replicates her identity as a super woman since she's always been a champion. Zoya Khan, ‘Ateeqa Bano’, Chinese Ink and Alcohol Marker on Paper. Digitised, 8 in x 10 in. It is rare to come across a woman with the strength to not only pursue a non-traditional passion, but to establish it as an institution. Ateeqa Bano of Sopore did exactly that. Retiring in 1999 as state director of libraries and research, she went on to create Meeras Mahal, a private museum of history and art located in Sopore. She dedicated her life to the preservation of Kashmir’s artistic and cultural heritage and travelled far and wide — often alone — to curate over 3,000 pieces for her museum. Meeras Mahal is home to rare manuscripts, pottery and terracotta utensils, an entire history of the evolution of the Kashmiri pheran and much more. From the artist: The arched window was one of the objects in the museum that caught my attention. It is symbolic as a threshold. The burqa, too, was an important part of Ateeqa Bano’s identity as is illustrated here. Nusaiba Khan and Onaiza Drabu, ‘Mohan Kaur’, Digital Illustration, 8 in x 10 in. Giyani Mohan Kaur from Baramulla retired as headmistress of the Government Girls Higher Secondary School in 1976. She was known for her selflessness and dedicated her life to uplifting and educating women, particularly during Partition. 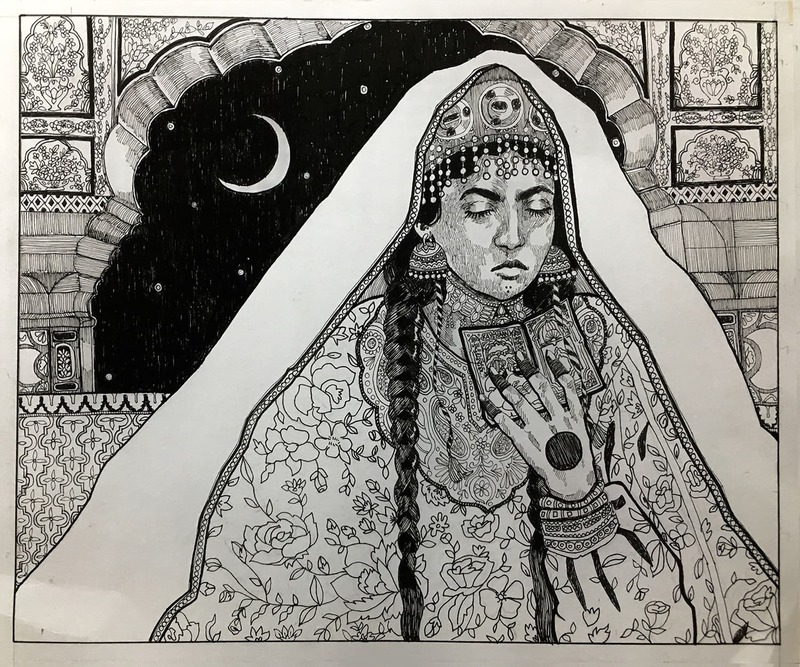 From the artists: Combining traditional Kashmiri prints in illustrating a Sikh woman of Kashmir is our way to add belonging to this very powerful minority community that often gets ignored in the wider discourse. Onaiza Drabu, ‘Women of the Conflict’, Digital Illustration, 8 in x 10 in. This illustration is dedicated to the thousands of grandmothers, mothers, wives and sisters of Kashmir who have suffered inexplicable loss, anguish and injustice over the decades of conflict. 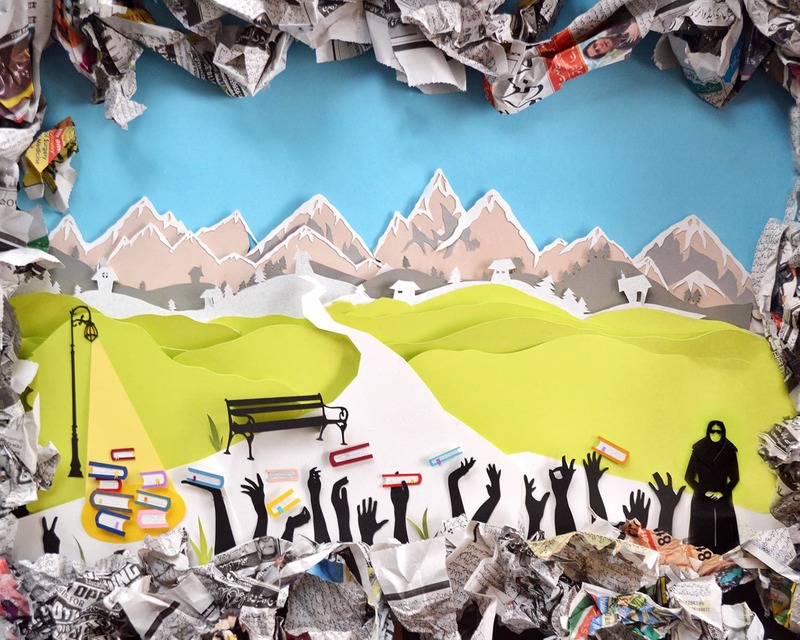 From the artist: The image is intended to shock the viewer because, together with all stories of hope in Kashmir, there are many more of resilience in the face of all the odds. You can purchase the calendar from here. Onaiza Drabu is an anthropologist and works on Kashmiri folklore. 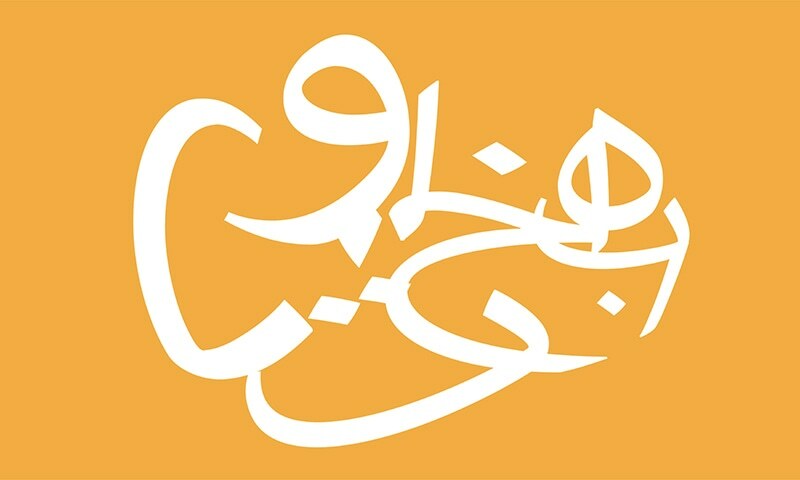 She curates Daak (daak.co.in), a weekly newsletter and website. It is a collection of unknown stories, artworks and ideas from women and men who have shaped South Asia's cultural heritage. Sumairha Mumtaz, ‘Kota Rani’, Oil on Canvas is much like the work of Salvador Dali and a bit like that of Rene Magritte. We can see the influence. Rising From the Ashes and Contemplation are reminiscent of Vincent Van Gogh while in Queen Didda and the Temples one can see the influence of cubism in modern Western art. Such a wonderful initiative. All the best Onaiza, Sama and the team. Good initiative. Awesome stories of these women of kashmir. Very good, thank you for bringing out the unsung (for me, at least) heroes and also than you for keeping it inclusive. Kashmir, Pakistan is full of wonders now as well as in past. Good one but she really missed a lot. Kashmiries & Kashmir women folk has much more but good attempt so I give my full respect to daughter of Kasmir. 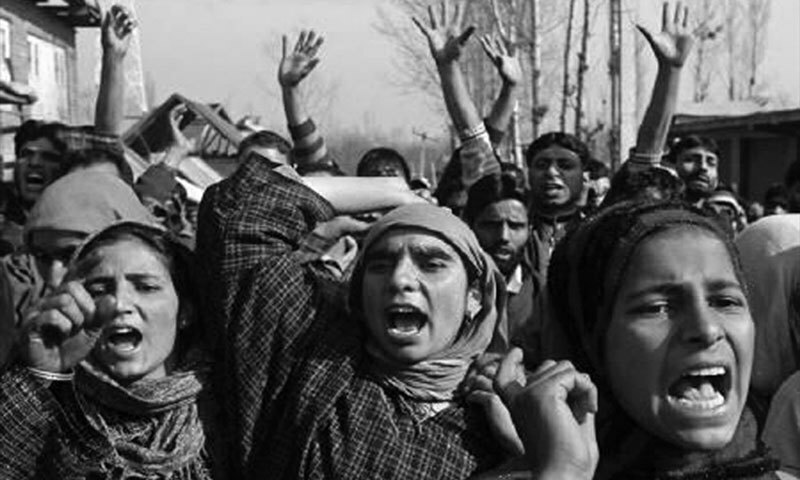 Kashmir too had women Chief Ministers who have led the people through the worst times. Find how deep the roots of Kashmiriat remain. The selection of 12 women that have brought laurels to Kashmiri history, traditions, literature and compositeness of our cultural heritage is judiciously reflected in the calendar, so very assiduously compiled. Congrats Mme Onaiza Drabu. At 80, am perhaps qualified to bless you. Unfortunately men won't read this. @Prateik I did and am proud of my kashmiri roots. Wonderful initiative. Despite of what Is happening ,the DNA of kasmiries speaks out the depth of culture it possess. Good Work ! Loved the art / illustrations. Keep it up , Ms Drabu. Praiseworthy work, there are more women who can be added in the days to come for such noble projects. Aahee! Keep up the good work! Wonderful to read about these great Kashmiri women. wonderful compilation. You are highly talented. Nice work. There is a lot to be written on AJK side too as many of legendary men & women had given their lives for a better society. I am, I was and I Will be Proud to be Kashmiri as I Know our Mesmerising Legends. EveryOne is Being Requested to Make a Prayer for Our Kashmir. I Was, am and I Will be Proud to be Kashmiri as I Know our Mesmerising Legends. EveryOne is Being Requested to Make a Prayer for Our Kashmir.